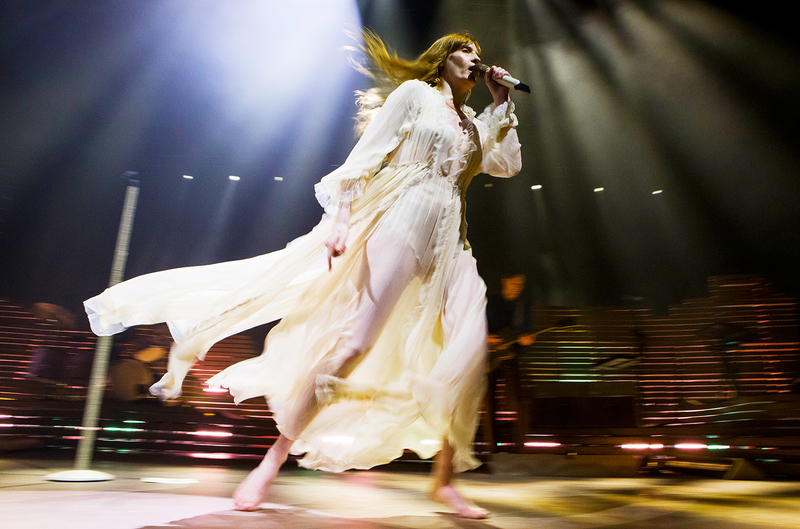 It is not long now until Florence + The Machine touch down on New Zealand soil. Treating fans to not only one, but two shows. Hippy-rocker Florence Welch moved the crowd in Perth on Saturday night backed by eight piece ‘The Machine.’ This marked the first show of the Australian/New Zealand Tour. Aussie fans were treated with a setlist that mixed both the new and old. Even debuting a never heard before song, thought to be titled “Moderation” (although titled “MD” on the on-stage setlist) leaving everyone speechless I can imagine. Beautifully strong vocals, magical costumes, and lots of love is exactly what the crowd at RAC Arena in Perth were treated to all night long. All because of Florence + The Machine and their incredibly positive show, and soul moving music. So how can you pass up the opportunity to see Florence + The Machine? There are still tickets left for the remaining Australian dates (listed below). Along with seated tickets for their headlining show at Spark Arena, Auckland on the 30th of January at Ticketmaster. If one massive show wasn’t enough, they are also performing at the 25th St.Jerome’s Laneway Festival in Auckland on the 28th of January.